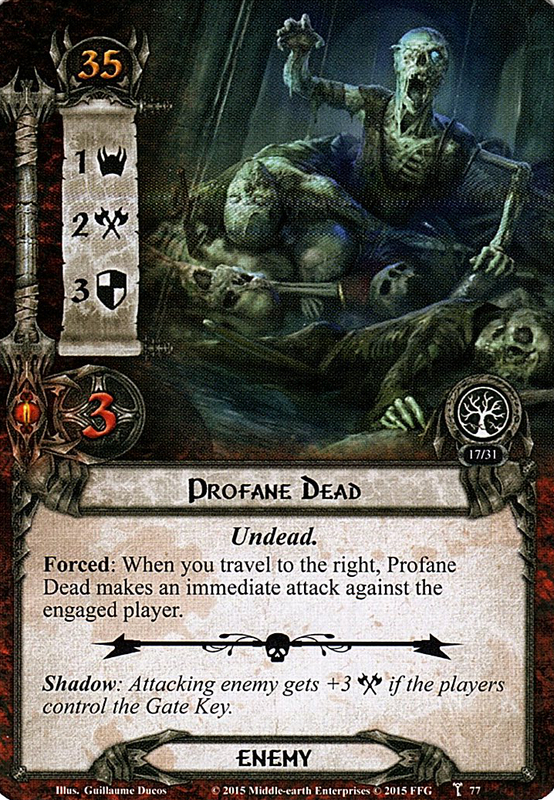 Forced: When you travel to the riight, Profane Dead makes an immediate attack against the engaged player. Shadow: Attacking enemy gets +3 if the players control the Gate Key. .